Fabric: 65/35 Polyester / Combed cotton sheeting with a soft hand. 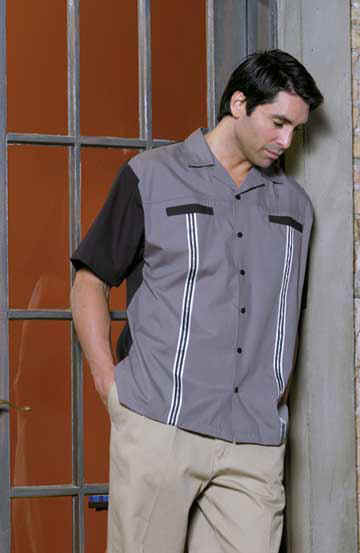 Placket: Full front button down closure. Pocket: Two welted chest pockets. Sleeve: Hemmed opening. Features: Retro metallic striped accents. Back of shirt matches the contrasting color used on the sleeves and pocket welt. Even vented hem with long square cut bottom for in or out wear.